Feeling a bit lost lately? Unsure if you’ve chosen the right path? It’s normal to sometimes question our life choices and careers — particularly after hearing how much money teens are making playing video games online. Sounds like you might need to find your passion! According to basically all the self-help experts, this one revelation will spark an eternally-lasting flame in your soul and you’ll never feel tired or frustrated again. Oh boy! But where to start your search? Here are 3 surefire ways to find your passion and solve all your problems overnight. Start off with some brainstorming. To identify the thing you’re passionate about, you should brainstorm a list of different possibilities. For some people, it’s writing, for others drawing. For you, it might be dressing your hamsters like famous pop stars and taking photos of them for Instagram. Leave no stone unturned! Still unsure? Rifle through your stuff for clues as to what you love most. Press your friends for information. Write the word passion angrily on a steamy bathroom mirror and pass out after drinking a bottle of whiskey. You look great in a fedora btw. Maybe vintage hats could be your passion?! When you’ve found a solid lead, you’ve got to be sure it’s the right one. You’d hate to choose the wrong passion and wake up 30 years later in a loveless career — past your prime, broken, and without a portfolio you can look back on with pride. 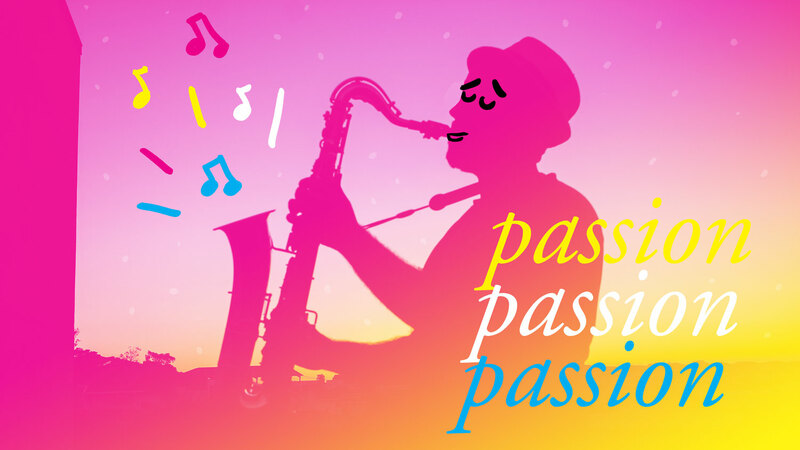 Experts say a true passion is something you can get lost in for hours at time, something that ignites a spark deep down inside your soul, something that makes you want scream from the rooftops with joy — probably waking up all your neighbors, but you don’t care about conventional politeness anymore because you’ve found your passion! Either way, you’ll prob know it when you see it. You’ve found your passion, now FOLLOW it! Drop everything else immediately and do it forever, every single day of your life, and bask in the infinite feeling of fulfillment that is sure to follow. It will never get old and if it does, it’s your fault, not the fault of self-help gurus or anyone writing brilliant, useful articles like this. PASSION!